Why are people flocking to Binary Options websites? This is because a binary options trading is a profitable way to earn money online if you know how to read charts, learn how to trade profitably and maximize profits. Of course, as a trader, we need to know if that website we are planning to invest in is legit and regulated to make sure that you profit from the effort. One of the popular search results when it comes to Binary Options trading would be AvaTrade.com. Today, we will be looking into what they have as a company. Do they provide services such as binary trading? What are their restrictions like are US customers allowed to create an account? What features do they have that as a trader we can take advantage of? Is their website easy to understand and explore? Without further delay, let’s talk about that! Before moving forward and exploring their website, we first need to know about AvaTrade.com. Who are they? Their website says that you are able to “Trade with Confidence” through them. The company was established in 2006 and has been operating flawlessly for 11 years now. Their office is located in Ireland, and they offer their services to 150 countries. Are they regulated? When a brokerage website has been operating online for 11 years, there is a huge chance that they are being regulated. With that being said, they are fully regulated and licensed operations in EU, BVI, Australia, Japan, and South Africa. They are also registered in Ireland where their office is located. The only setback is that they o not accept customers from the United States. Regulated by the Central Bank of Ireland, the website’s customers can easily trade with confidence. You can check out their reference number C53877 for their registration with the bank. As mentioned above, they are also regulated by the Australian Securities & Investments Commission or ASIC. The Financial Services Commission of the British Virgin Islands is also regulating the company. As far as regulation goes, we know that AvaTrade.com is not a “fly by night” operation that will easily get all our investment and just disappear like that. We’ve looked into AvaTrade’s background and know about their regulations. We think it is the perfect time to create an account with them! First, we need to go to their website and click on “Create an Account” located on the upper right-hand side of the website. Once the “create an account” tab has been clicked, a separate window will appear with the option to choose from a real account to trade with or a demo account. What’s great is that you are given this option right from the start! So which one are we going for? We will be discussing the difference between the real account and a demo account. For now, we will be clicking the Demo Account option since we would be able to enjoy $100,000 worth of virtual money. On the account creation page, AvaTrade will provide an option for you to create an account through their shorter process which involves connecting your social media account (Facebook) or your Google account. 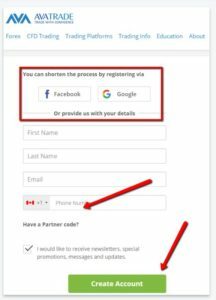 By choosing either of these options, you will be able to skip a lot of parts of the registration process and you only need to click a few things to get it done. Another method would be to provide your complete name, active email account, and phone number. After this has all been provided, you just need to click on Create Account and your good to go! As a customer, it would be your choice to which option you want to go with. Both of these options have the same outcome, which is the creation of an account with AvaTrade.com. After creating an account, you will then be redirected to the account page. Everything can be viewed on this page from your account details, personal details, deposit and withdrawals, and of course, the access to the trading platform. 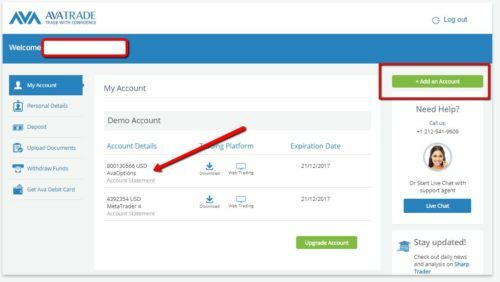 Now that an account has been created choosing the demo account option, it is time to open up a trading platform. Here at AvaTrade, you will have a multitude of platforms to choose from. To name a few we’ve got AvaOptions, AvaTradeAct, DupliTrade, Floating Spread, Mirror Trader, and the default trading platform would be MetaTrader 4 and the base currency would be at USD. 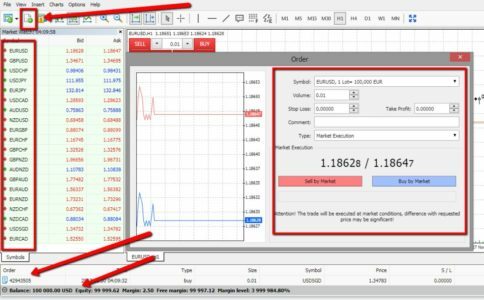 Shown in the screenshot above is their MetaTrader 4 platform. On the top left-hand side of the trading screen, we’ve got the “New Order” tab. To create an order, click on that tiny button and a separate order window will appear. In the order tab, we are able to see the pairs that are listed. Choose the symbol you want to trade with, along with the volume, adjust the stop loss and take profit limits and click on either sell by Market or Buy by Market. There is also an option for you to add notes to the comment section provided. A successful trade will be shown below with the complete order number details. For our test purchase, we are able to see the details such as order number 42943505 with the type which is “buy” and the size of the order 0.01. This also includes the price of the order and the symbol/pair you ordered. Since we did not add stop loss and take profits the order is showing zeroes. On the farthest side of the order, the tab would be the profit section; the most important part of the order tab. This is being updated real time, meaning you are able to manually control your loss and profits by clicking on the order and closing it if you think you had enough. Binary Options trading – We’ve tried to contact AvaTrade’s customer service live chat and were given a 30-minute queue to speak to a representative. Since we were not able to their Binary Options trading tab, we had to ask for assistance. The chat support representative confirmed that they did not have binary options trading on this website. This is honestly a downer since most of the reviews today include AvaTrade.com as one of the “Binary Options” trading websites today. It’s pretty weird because their website has the AvaOptions trading platform but no direct binary options trading. 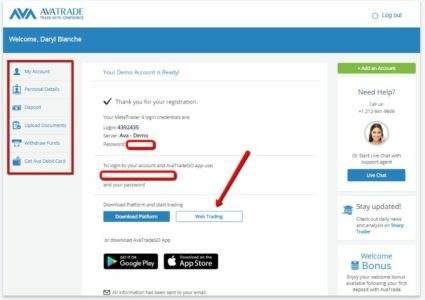 Shown in the screenshot above is how to add a trading platform to your existing account. Multiple accounts can be added as well as demo accounts too. Demo accounts have a maximum of 21 days until it expires. Above is an example of one of their trading platforms which are called “AvaOptions” that cater to options trading. Do not confuse yourself with Binary Options trading and Options trading as these are two different “animals of the kingdom”. If you do not know the difference, we suggest reading this article from Investopedia. As mentioned earlier, this website has a lot of trading platforms to choose from! These different platforms are designed specifically for the type of trade that you want to do with them. We urge you guys to explore them one by one and learn how to use them with the provided demo accounts. We’ve tried their “AvaOptions” trading platform and it was definitely not smooth and really laggy! Their main trading platform is the MetaTrader 4, and everything runs smoothly on that. One of the main features presented by AvaTrade.com is their availability of different trading platforms to choose and play with. Another premium asset that we have only seen in AvaTrade.com so far would be their educational material that is unlike any other broker website today! They have a massive Education tab that you are able to access even without logging into an account. 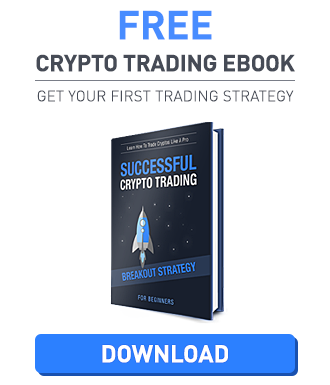 Go through their trading tips for beginners, videos, eBooks, and a whole lot more! Since we’ve practically gone through most of the things that we need to know about the website, it is time to talk about deposits and withdrawals. AvaTrade.com unlike any other brokerage website today accepts a lot of payment options to choose from. They accept Major Credit Cards and wire transfer. They also accept payments through PayPal, Skrill, Neteller, WebMoney, and a couple more. For their withdrawals, the same deposit options are also available for withdrawal requests. Please be advised that all withdrawal requests will be processed within five business days. They also have what is called the “Ava MasterCard” where you are able to cut down the withdrawal process drastically compared to regular means of withdrawal. What’s great about their customer service is that they have a phone number which you are able to contact through +1 212-941-9609 and a live chat feature that is available whenever you need them. All in all, they have an effective team that helps out any possible inquiry by a customer or noncustomer. As a general observation, we found out that AvaTrade.com is not bad at all. The only thing that is quite off is the articles found online saying that they are a binary options broker but in fact, they are not. Generally, they are great and provide education to new traders. They have a variety of trading platforms to choose from and offer good customer service.